Ruchess: Think Different. Think Creative. Creative thinking is both an attitude and a method of using information. Firstly I would like to give you a problem, old one, but it makes the point very nicely. Nine dots are arranged as shown in the diagram. 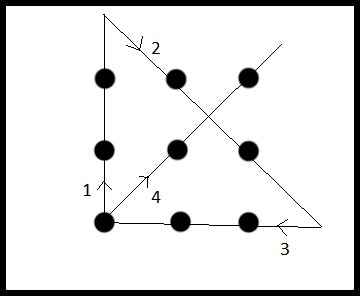 The problem is to link up these nine dots using only four straight lines which must be drawn without raising the pen from the paper. At first it seems easy and various attempts are made to link up the dots. Then it is found that one always needs more than four. The problem seems impossible. You might want to try yourself. student claimed a perfect score. WITH THE AID OF A BAROMETER." is the height of the building." the answer did not confirm this. Calculate the height of the building." to the problem, so I asked him what they were. the building in barometer units." of g, the height of the building, in principle, can be calculated." height of the building by the period of the precession". height of the building, I will give you this barometer." trying to teach him how to think." The student was Neils Bohr and the Arbiter – Ernst Rutherford. The most basic principle of creative thinking is that any particular way of looking at things is only one, from among many other possible ways. Okay so back to the previous problem. 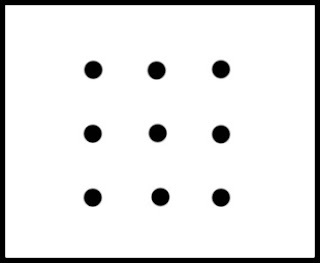 The assumption here is that the straight lines must link up the dots and must not extend beyond the boundaries set by the other line of dots. If one breaks through this assumption and does go beyond the boundary then the problem is easily solved as shown below. pclae. The rset can be a taotl mses and you can sitll raed it whotuit a pboerlm. Seriously, the power of human brain is beyond our imagination. Just imagine!! Keeping an open mind is difficult in a game where so much depends on patterns and logic. Mikhail Tal is considered as one of the best creative players in the history of Chess. “Ideas piled up one after another. This piece sacrifice works in one case. To another situation it proves quite useless. As a result my head became filled with completely chaotic pile of all sorts of moves. And as I was figuring out what to do I suddenly remembered a classic children’s couplet. 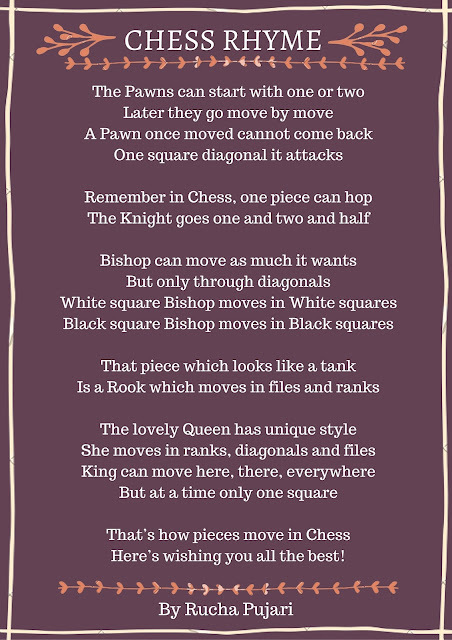 I don’t know from what association the Hippopotamus got onto the chessboard, but although the spectators were convinced that I was continuing to study the position, I was trying to work out just how to drag a Hippopotamus out of the marsh?! I remember how I thought about helicopters even rope ladders. After a lengthy consideration I admitted defeat as an engineer. And thought spitefully ‘Well let it drown.’ And suddenly the Hippopotamus disappeared, went out of chessboard as it had came in. And straight away the position did not appear so complicated. Now I somehow realize that it was not possible to calculate all the variation and that the piece sacrifice was by its very own nature purely intuitive. And since it promised a very interesting position I could not refrain from making it. It’s a charming example of Tal’s wits and more importantly an insight into his problem solving method. Logical thinking moves only if there is a direction in which to move, creative thinking moves in order to generate a direction. · Why is ‘abbreviated’ such a long word? · Why is the time of day with the slowest traffic called rush hour? · Why the man who invests all your money called broker? · If flying is so safe, why do they call the airport, the terminal? · If you were travelling at the speed of sound and you turned on your radio, would you be able to hear it? · Why is it called building, when it is already built? till date logic was everything for me, now I understood what does creativity really means.